Texas authorities have an intense focus on drug crimes. That’s why if you have been charged with a drug crime, you will want a Dallas criminal defense attorney on your side, advocating for your interests and rights. There are many different types of drug charges and potential penalties, and your attorney can explain to you the charges you face. Drug Possession. This charge generally refers to having illegal drugs on your body, in your care, custody, or control. This crime is typically the least severe drug charge such as possession of a small amount of marijuana. However, if you possess a large amount of a serious drug like heroin, you could face felony charges. Drug Possession With Intent to Distribute. This crime combines the crime of possession along with the intent to distribute the drug to others. This is typically the charge that prosecutors use against drug dealers. Some ways that prosecutors may prove the intent to distribute include pointing out the amount of drugs in your possession or looking for periphery materials that are commonly associated with dealing. Drug Trafficking. Drug trafficking is a very serious offense and may be prosecuted at the federal level. Trafficking generally involves bringing drugs into the state or across the Mexican border. Type of Drug. A defendant accused of possessing marijuana could face less penalties than someone possessing the exact same amount of heroin or cocaine. Amount. The larger quantity of the drug in your possession, the greater penalties you face. Criminal History. If you have a long criminal history, these could all impact the charge you face. 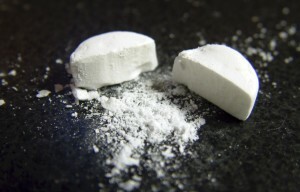 If you face drug charges, it is imperative that you contact an experienced attorney. Depending upon the type of drugs you are accused of possessing or distributing, you could face significant penalties. To learn how an attorney can help you, contact The Law Office of John L. Corn P.C at 214-528-4529.